Designed by Artist Jane Seymour for her Musèe Series, this classic wood picture frame features a dramatic sleigh profile and an elegant, satiny black finish with a metallic, brushed silver inner edge. 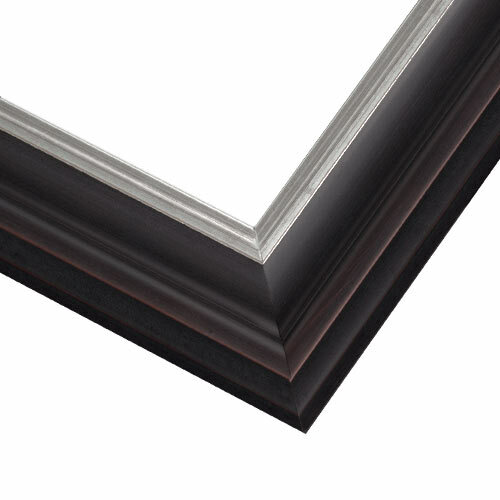 Think of this statement-making frame as an affordable luxury – fit for a word of art and photography. For this frame in a larger profile, try JCL3.